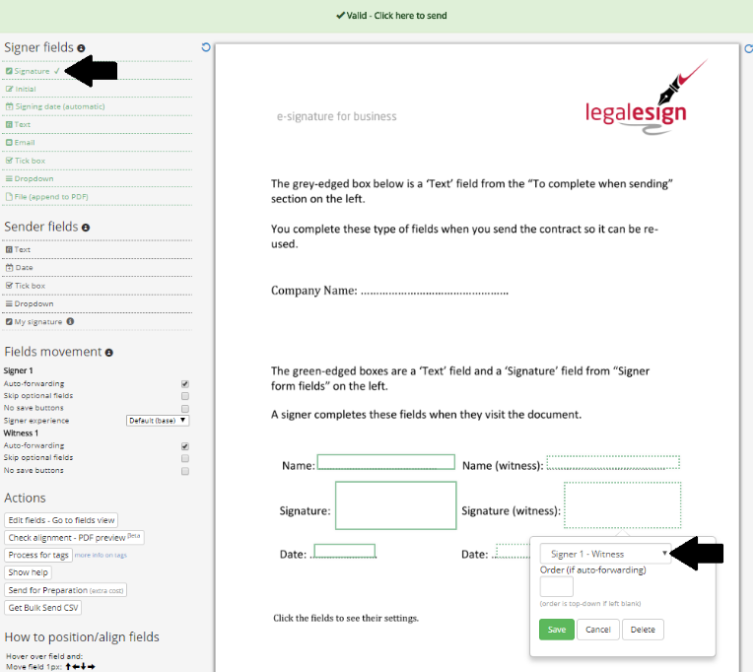 Go to the document's PDF edit page (within 'Docs' section) and drag and drop a Signature field onto the document. The field's form will pop up with one drop down box visible. Click the drop down and scroll down until you see 'Signer 1 - Witness'. Select that option (or for other signers as appropriate) and save the field. Fields allocated to a witness can be identified by a dotted border in a colour matching the signer, for example a witness for signer 1 has a green dotted border while a witness for signer 2 has a blue dotted border.